Frontpoint has come a long way since it entered the home security business in 2007. It’s already gaining a good reputation for its cutting-edge wireless technology and excellent customer service. Features like patented Crash and Smash protection, DIY installation and Z- Wave compatible cameras make it one of the best choices for a home security system. After some bad experiences with no and low-price home security, my boyfriend and I decided to take the plunge and look for a serious security system. We were apprehensive about the cost, of course, but the horror stories about long-term contracts and equipment break-downs scared us even more. That’s when I discovered Frontpoint after talking to a realtor friend of ours. What Should I Look for in a Home Security Provider? Today’s home security providers offer wireless home monitoring that works with Smartphones since most people prefer cell phones to landlines. (A few companies still offer security systems through a traditional landline.) The wireless technology prevents intruders from cutting cables and disabling the system, and it gives you the chance to monitor your home via mobile phone apps. If you travel a lot, lead a busy life and aren’t home much, or have valuables you want to protect, a home security system may be well worth the investment. What is my budget? If there are additional fees for installation and extra equipment, can I afford it? Do I own or rent? A personalized home security system is more cost-effective for homeowners, but security systems are available for renters. Can I install the equipment myself, or do I need to pay for installation and wait all day for the tech to arrive? How many cameras or sensors do I need? Think about the rooms, doors, and windows in your home most likely to be affected by a break-in, fire, flood or carbon monoxide. Does the plan offer 24/7 home monitoring from a reputable monitoring center with well-trained employees? Nearly 60% of burglars interviewed for a study said they would consider the presence of a home security system as a liability when choosing a target, with 40% of them saying they would probably choose another target if the initial one had home security. With this in mind, it’s probably a good idea to invest in some alarm or monitoring system for your home – even if it’s the old-fashioned DIY system of keeping doors and windows locked and your property well-lit. 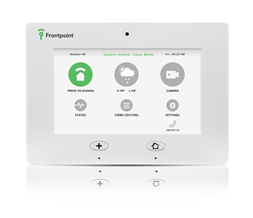 Founded in 2007 in Vienna, VA, Frontpoint provides wireless and mobile applications for home security, home automation, medical alerts, and environmental monitoring. They offer DIY installation, but unlike many other DIY home security providers, their equipment and monitoring are grade-A. The company focuses on the customer’s needs, not high-pressure sales. Frontpoint consistently receives high ratings from customers and security experts. You can install their wireless sensors, alarms and video cameras in minutes, and a rep will test it out for you over the phone. Their systems are 100% cellular, and even their basic home security plan includes water leak and carbon monoxide monitoring and medical alert monitoring. Frontpoint has an A+ rating from the Better Business Bureau and a 90% positive review rating. Frontpoint offers all the features and benefits of ADT and other industry leaders with an emphasis on customer interaction. All wireless equipment uses Z-wave technology, and you don’t have to buy the equipment from Frontpoint. If you buy equipment on your own, contact them to make sure it’s compatible with your system. All Frontpoint plans offer 24/7 monitoring from Rapid Response monitoring, a monitoring center approved by the Department of Defense, Factory Mutual, and the New York City Fire Department. This video, with security expert Rose Thibodeaux, explains how the Frontpoint video touch screen works. The Qolsys IQ offers a 7? LCD panel and manages Frontpoint’s home security automation. It has a built-in camera and is a touch screen replacement for the Simon XT control panel.The Qolsys IQ can be attached to a tabletop or wall and is Z-Wave compatible. It comes with a 24-hour backup battery in case of power outage. If your parents or grandparents live with you, they may like the Qolsys IQ’s large icons, which make using it easy for people with poor eyesight. Frontpoint offers flood and carbon monoxide protection under the “Environmental Protection” banner. 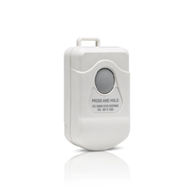 The water and flood sensor detects excess water levels in basements, laundry room or wherever you’ve placed wireless equipment. An alarm will sound alerting you, and you’ll receive an email or text alert if you’re not home. If the carbon monoxide detector is triggered when you’re not home, you’ll also receive an e-mail or text alert. All you need to do is pick the right detectors for your home and install them. There aren’t any extra fees for this service. Fire and smoke protection sensors detect when a room is getting too hot, so it can alert you to problems even before smoke appears. 24/7 monitoring is provided for environmental and fire protection, and Frontpoint will contact you when a sensor is triggered if you’re not home. Crash and Smash technology, developed by Alarm.com, ensures Frontpoint’s monitoring center will contact the police even if an intruder destroys the control panel. The patented system, unique to Frontpoint, keeps your system in a special status mode after a door opens. If the intruder disarms the system, monitors will know and contact the police. 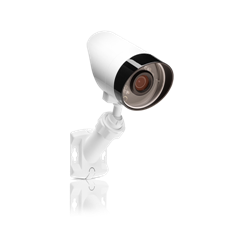 Frontpoint’s wireless outdoor camera has infrared night vision to detect intruders. Access video clips from indoor and outdoor cameras anytime through the mobile app or customer portal on the Frontpoint website. When family members forget their keys, they can punch in a code on the automated door lock to get inside. Away from home? Lock or unlock your door with the Frontpoint app on your Smartphone. 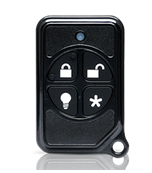 Customize all your sensors, alarms and cameras from anywhere with remote access and control. Turn lights on and off remotely with the light control feature, and adjust your home’s temperature when you’re away with energy management controls. Receive live video streamed to your mobile device from the wireless cameras inside or outside your home. 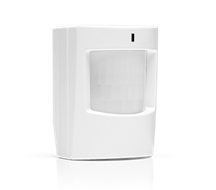 When a motion sensor is activated, you’ll receive video clips to see what’s happening back at home. With the doorbell camera, you can choose to speak to visitors or ignore them. All Frontpoint’s plans include medical alerts and water, fire and carbon monoxide monitoring. ADT offers medical alerts separately, for an additional fee, and only offers environmental monitoring on its two higher-priced plans. Plans come with a three-year contract, but if you pay more upfront, you can get a one-year contract. All plans come with a 30-day guarantee. If you aren’t happy with your service, cancel within the first 30 days and get a full refund. Sensors and controls panels are easy to install. Just peel and stick the adhesive backing close to doors, windows or on ceilings. There’s an interactive tool on the Frontpoint website to help you decide which locations in your home are best for security sensors/cameras. The Interactive and Ultimate plans include free mobile apps for iPhones, iPads, Androids, Blackberry phones, Apple watch, Kindles and Windows. All Frontpoint installation is DIY. There are no holes to drill or any superfluous hardware needed to install sensors, alarms or monitors – just “peel and stick” the lightweight equipment onto walls, ceilings or near doors. It’s easy to remove sensor or detectors and put them in a new location. Wireless cameras are small and lightweight and connect to your home’s WiFi. You can buy high-quality home security cameras, sensors, monitors or alarms from Frontpoint. The equipment is Z-wave compatible and moderately priced. (The indoor wireless camera is $189.99, the water and flood sensor $44.99, although you may be able to get equipment for less when Frontpoint is running a promotion.) And you can take the equipment with you when you move. They even provide a free mover’s kit. Frontpoint lists plan and equipment prices on their website, and what you see is what you get. You’ll still need to verify the final price with a rep, but the company is pretty straightforward regarding costs. Frontpoint’s plans are a few dollars more a month than ADT, with comparable quality equipment. Frontpoint offers cutting-edge technology, with wireless Z-wave cameras and small, unobtrusive sensors and monitors that you can place on a wall, ceiling, shelf or table. You can use their mobile app on just about any device, including ones not usually offered by other security companies, like the Apple Watch and Blackberry phone. What are Some FrontPoint Alternatives? Live Watch and Frontpoint offer DIY installation and cellular-only service (no landlines). Live Watch (formerly SafeMart) offers a one-year contract, with plans starting at $19.99 a month. Frontpoint’s plans start at $34.99 a month. LiveWatch is cheaper and better for short-term security needs. If you don’t travel much or have a small family, LiveWatch may be worth it. Upfront equipment costs range between $200-$300, and it comes with a two-year limited warranty. Visit LiveWatch here. ADT is the industry leader in home security with 6 million homes covered in the U.S. and over a century of service. They offer the same wireless video surveillance, remote arm and disarm and water/fire monitoring as Frontpoint. If you want a proven name in home security instead of a relatively new company to provide your system or prefer to have a technician install your system, (ADT is pro-install only), consider ADT. They offer monitoring through your landline (many newer companies don’t), and a relocation guarantee. Visit their website here. ADT offers equipment installation by a technician, and Frontponit is DIY. If you prefer profession installation, ADT may be the way to go. Frontpoint was founded in 2007, and ADT has been around since 1847, so if you’re the type that only trusts long-standing businesses, ADT may be for you. Both companies offer comparable equipment and three-year contracts. You can cancel Frontpoint anytime within the first 30 days of service, with ADT you can cancel within 60 days if it’s a tech or hardware issue they can’t resolve. SimpliSafe offers DIY installation, with low monthly fees ($14.99-$24.99 per month) and a month-to-month contract. They offer equipment including smoke and carbon monoxide sensors, door/window and motion sensors, base control, keychain remote and a security camera add-on. 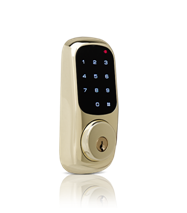 An easy-to-use and affordable system, it may be useful if you have limited security needs or are new to home security. Visit SimpliSafe to learn more. Both companies outsource monitoring to certified, reliable monitoring stations 24/7. 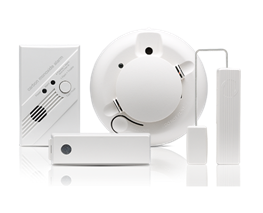 SimpliSafe has limited, generic equipment, Frontpoint has many wireless cameras, sensors, and alarms. Frontpoint’s laidback sales approach and helpful customer service will attract many people to their security services, but their cutting-edge equipment and reliable monitoring will make them stay. Based on the number of different services provided for each monitoring plan and the quick DIY installation, Frontpoint offers a great value if you’re looking for a medium-priced home security system. Learn more about Frontpoint on their website.